Looking for a perfectly charming destination that ticks all the boxes? 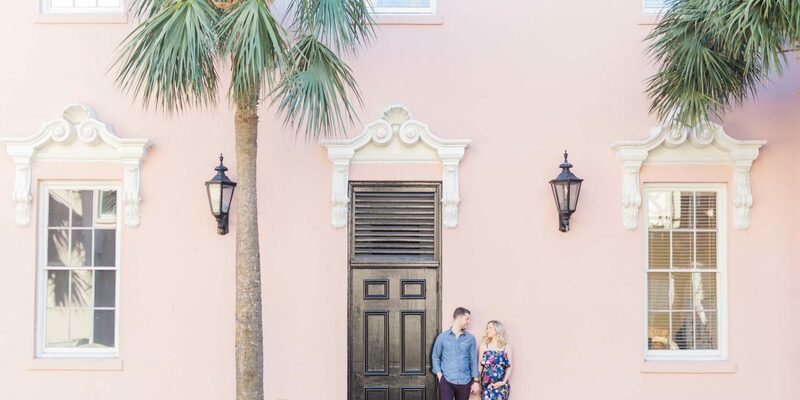 These two couples found their ideal babymoon destination in the picturesque city of Charleston. Read on for their tips on making the most of your trip to this charming city. “We have two toddlers at home, so when we found out we were pregnant with baby #3, we knew we needed to take a long weekend trip for some rest, relaxation and quality time before the level of chaos in our house rose any further. Since I was 24 weeks pregnant, we wanted to choose a location that was Zika-free, close to NYC and somewhere with both culture, food and beaches. Charleston was the best of all worlds. The city is the epitome of charm. Everywhere you turn, there is a beautiful home, stunning garden or breathtaking water view. “One of my favourite memories includes our visit to Magnolia Plantation to learn about the history of the gardens and eat lunch among peacocks and mini horses. I also loved walking down King Street and checking out all the shops. And the food!! I don’t think I’ve ever eaten food that good (and I live in NYC)! You have to try FIG, Husk and Pawpaw for dinner and Poogan’s Porch and Hominy Grill for brunch (although everywhere I turned there was another great looking place that I wanted to try). I am still dreaming of shrimp and grits. The town is so walkable (even with my pregnant waddle!) and we even ran into some people from NYC as we walked along the Battery! When our feet got tired, we jumped in a private Palmetto horse and carriage tour to get an insider look at the history of the town. Our last day, we stayed on Kiawah Island to visit a beach and just have a day of ultimate sun and relaxation. It was the perfect way to wind down from our fun weekend in Charleston. Jaimee and Dave headed to Charleston after getting the surprise of their lives – a positive pregnancy test result! They share their favourite Charleston restaurant and a few of their favourite things to do in the gem of South Carolina. “My husband, David and I had been trying to conceive for almost two years with no luck. After many ups and downs in the process, we were ready to give up and we were about to go through IVF. Then, along came two lines on a pregnancy test. I just couldn’t believe it! We will be welcoming a baby boy in early July! We are avid travellers and knew that we had to get away one last time before the baby makes his appearance, so Charleston it was! What an amazing time in an amazing city! For more fun ideas, check out our guide on what to eat, see and do on a charming weekend getaway to Charleston.